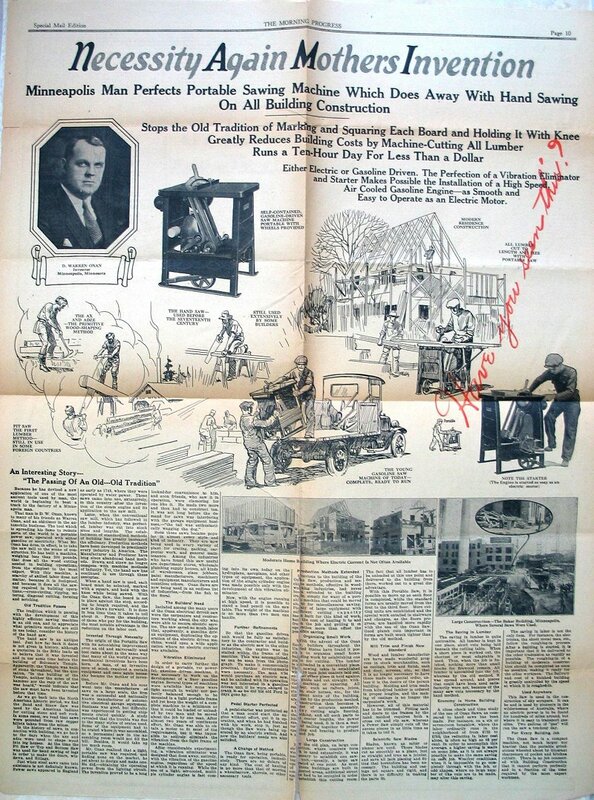 This one product propelled D. W. Onan ahead economically further and faster than anything else to date. It is my guess this was somewhat of a surprise. 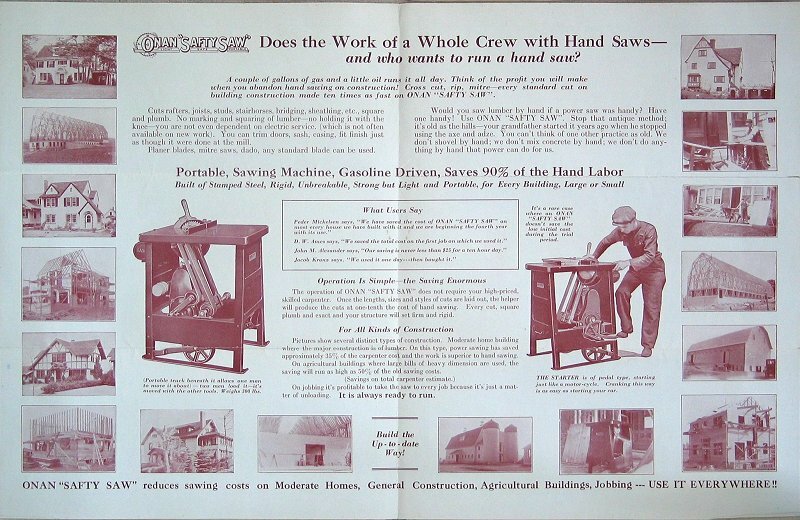 The saw had many uses in construction and manufacturing. It could be powered by an engine or electric motor so there were no limits to where it could go. 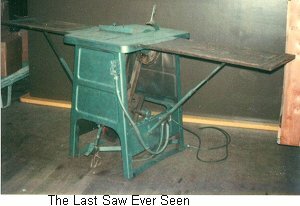 It was the pioneer of table saws. It handled the major work or cross cutting and ripping, as well as a few fancy cuts, but the basic purpose was in construction and crating. I can also guess that saws were not Dave’s first love. When the generator set came along he found much more to interest him. The saw made for some bigger promotions, such as this newspaper spread, for Dave and the company. How about a little two color printing? 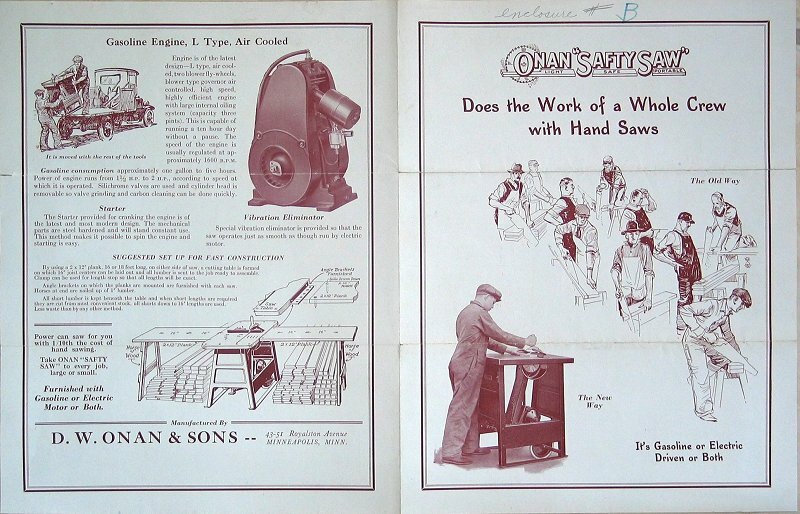 In 1978 this saw was still working for Onan distributor in Minneapolis. He had painted it the contemporary Silver-Green color.